74 To dran up the [illegible] Take a new laid egg and roast it till it be blue. then crush it between a cloth and lay it to the crown of the head. 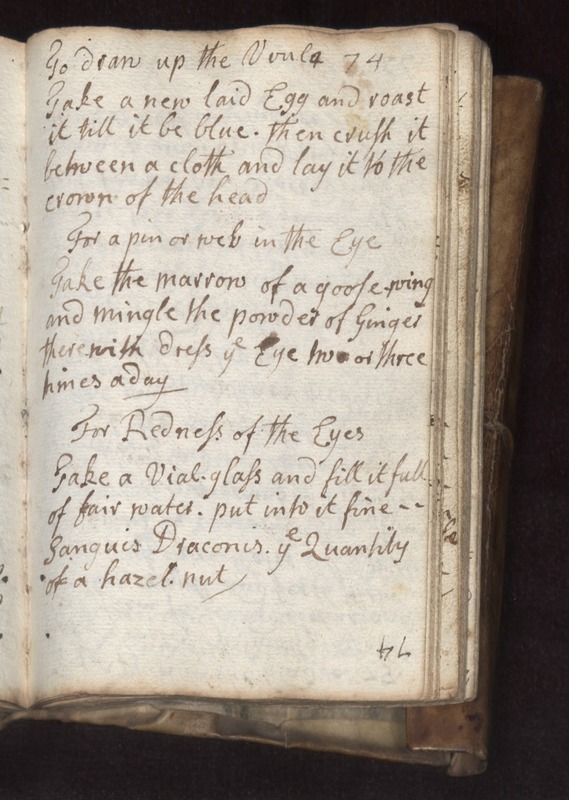 For a pin or [Twig?in the eye Take the marrow of a goose wing and mingle the powder of ginger there with dress ye eye two or three times a day. for Redness of the eyes take a vial glass and fill it full of fair water. Put into it fine Sanguis Draconis ye quantity of a hazel nut.